Really interesting sculpture. A lovely place. interesting sculpture. i wonder if this is an impression of the infinity symbol. I love the sculpture and the garden looks pretty. Lush and green! Have a happy weekend! A beautiful garden, a wonderful sculpture and a terrific capture for the day, Carver!! Have a great week!! Nice sculpture in the garden. I really like that sculpture, great shot! The lines and shape of this sculpture are very appealing. 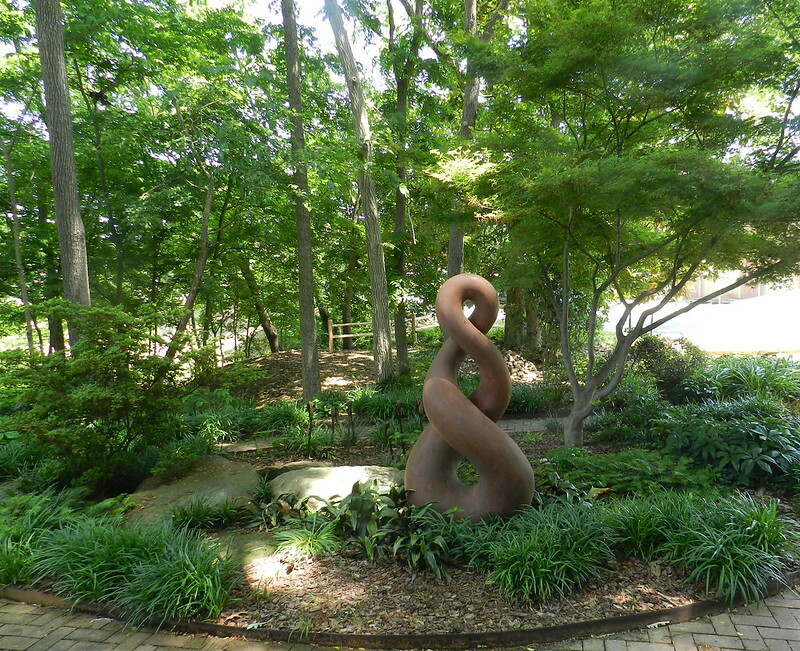 I like to come across sculpture within gardens.